SCROLL DOWN FOR FREE BOOKS! Excellent Free Christian Romance & Mystery! 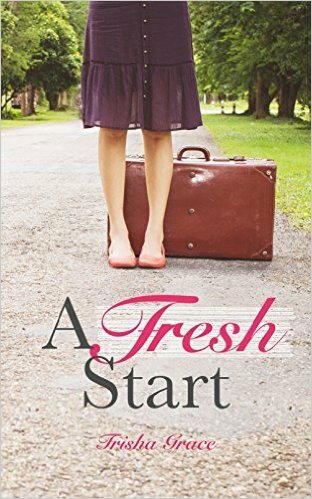 *A Fresh Start by Trisha Grace. Price: Free. Genre: Christian Romance, Sponsor, Christian Mystery & Suspense, Contemporary Romance. Rated: 4 stars on 72 Reviews. 371 pages. ASIN: B00D3LQ2X2. Reviewers love it: What a great book! A great story with all the right ingredients to make it a thoroughly enjoyable read! Beautifully written! It has a wonderful, “feel-good” storyline! I admire the author for writing such an incredible story! The romance is sweet and simple. It pulled me in within a few chapters! Masterfully written and intense! ***Perilous Cove (Perilous Safety Series Book 1) by Rich Bullock. Price: Free. Genre: Christian Mystery, Suspense. Rated: 4.4 stars on 107 Reviews. 288 pages. ASIN: B00875HI1Y.